We’re at the beginning of a huge shift in what constitutes “advertising” thanks to social media. Advertising legend David Ogilvy worked through a similar period of drastic change, and pioneered some of the most effective techniques of his day. One would think that the wisdom of Ogilvy would have little application to social media marketing. To the contrary, I think his philosophies are dead on the money. In fact, unlike some of my previous odes to the thoughts of the famous as applied to blogging, Ogilvy needs no elaboration from me. Simply swap out “advertisement” for “blog,” “blogging,” or “post” as appropriate, and you’ve got it. I remember first reading ‘Ogilvy on Advertising’ about 14 years ago, when I was getting in to some promotional design work. The insights I gained from that one book about how advertising works was unbelievable. Since then, I’ve read, learned, and experienced a lot more. But it’s still has a to-the-point way of expressing some pretty heady concepts. I agree that those insights still apply. I’ve been through and “loaned” (never to see again) more copies than I can remember. Kind of a simple philosophy. I like simple, you know. Ogilvy speaks to all marketers/advertisers across the ages. I bought this book 20+ years ago and I still review it for inspiration and insight. And his comments about advertising that informs rather than entertains in spot-on the money. As I tell my students, entertainment isn’t marketing. No one wants to be “jollied” into parting with a single dollar from their hard-earned labor. Inform with facrs, persuade with genuine passion and the orders/response will surely follow. Good point Roberta. I can’t remember it either (although I do remember every possible side effect). Ogilvy was one of the great advertising geniuses and the idea of applying his advertising principles to blogging is quite brilliant. Taking fundamental principles and proven processes and applying them in different fields can be a very powerful and rewarding marketing exercise. Nice piece of lateral thinking. I do a lot of writing for websites. As a search engine optimizer, writing is my primary tactic for achieving the position and ranking my clients need. More and more however, that same writing must be equally effective at converting the visitor, as well. Those are great points to keep in front of me when writing landing pages. By the way, isn’t there a payoff for having a successful blog–even if that payoff is not yet clearly defined or, perhaps, still down the road a good ways? If so, doesn’t that make the blog an advertisement in and of itself and explain why Ogilvy’s writing applies so well.? If so, doesn’t that make the blog an advertisement in and of itself and explain why Ogilvy’s writing applies so well? Yep. It can’t *seem* like an advertisment, though. And that’s why it’s so effective. Many people do NOT understand the value of educating folks as a way to persuade. Love it, I suppose the book is pretty old, I think I’m going to get it right after I finish the one I’m currently on. This also applies to bloggers that are willing to keep new visitors…many will pass on a great article if it doesn’t have a great title. Write an interesting post title, and you’ve got 80% of your visitors reading it. I actually just finished listening to your interview with Yaro Starak. You gave me a lot of great ideas so thank you! I will be signing up for your RSS feed. I think it was Heineken. Or Carlsberg. It was definitely green. I talk about it all the time with my buddies over a Corona. I’m not a copywritter, but I think I need to remember this article. Very informative. It got me thinking. Another excellent post. Ogilvy is my hero. Anyone who bought a castle on his income from writing has my vote. I read OOA for the first time about a month ago and thought I’d blog it–silly me not to have realized you’d have done it so well already. wow, so only 15 to 20% of the people read beyond the headline. that is what you call making sure the headline is captivating. and it makes sense that you can’t build a brand by immitating,,, i guess you’ve always got to innovate. I still use his 20% rule (from CoaAM), where he turned down the BOA (British Overseas Airways) account the first time it was offered to him, because it would have generated more than 20% of his total turnover. He felt this would have created a relationship dynamic he was uncomfortable with. It’s a great rule to keep it in mind, and I find it works in all sorts of situations. OOA is something of a bible for me, and I evangelize it all the time. I’m surprised it’s taken me so long to find this post. Brilliant work, and thanks for writing it! I’m reading Ogilvy’s book now, and have a question about the length of copy: is short copy more relevant today, in the age of info overload? Ogilvy reproduces several ads from the 60s and 70s containing 500-1000 words. Did you read all that copy? What do you think about short vs. long copy? My thinking is that short copy is more effective. The only evidence I have are a few studies of interpretive panels (signs along trails or in museums describing some natural or historical feature), which my company designs. These studies consistently show that 100-200 words is all most people will read and retain. Do you know about any studies of what’s more effective: short or long copy? more they are prepared to read. some information, or promising them some. pictures of a wonderful blue/green sea. I agree with ‘it depends’! Still trying to work this out though. I guess my question was how relevant long-copy advertising is considering the internet. I understand long copy sells better than short when a person is interested in the product, and you get that interest with a great headline and subheads, and a good image. Even Ogilvy, who correctly raves against irrelevant pictures, says a good image with a good headline is most effective. Today there’s so much more advertising around than in Ogilvy’s day, so a big part of of advertising is about being seen amidst the clutter. Also, testing is expensive and most of my clients (small business and local governments) won’t do it. The closest we’ve come is tracking response to ads with coupons and postcards in a series (including web hits). Whether to create a catalog or other long-copy printed item is weighed against the cost and effort to web banner ads, sponsored links, enewsletters, and short-copy ads/postcards that direct people to a website. Short copy still has to sell the benefits. And then there’s the whole thing about mixing emotional and rational appeals! From neurosciencemarketing.com: Campaigns with purely emotional content performed about twice as well (31% vs. 16%) as those with only rational content, and those that were purely emotional did a little better (31% vs 26%) than those that mixed emotional and rational content. To me that says, emotional engagement in the short-copy print material, long-copy details online. card that can be used in the town. The survey will be web based. business and gain some recommendations. 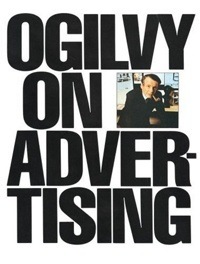 Ogilvy on Advertising was published. Going beyond the question of short vs. long copy, I’m trying to figure out why I don’t like ‘short story’ ads. Many of the ads in Ogilvy’s book are about products I’m not interested in. And I’m sure part of my problem is that the ads are simply old news. It’s not the long blocks of text that bother me. I read all kinds of books, often three and four at a time, from children’s books to novels to books on business and finance, marketing and design, the law of attraction and powers of persuasion. I’m a designer so that may be coloring my perception. We’re usually focused on creating the visuals that will create the feeling that will motivate the buy, and we always want to cut the text! @Terre, everyone asks that question (about long copy), and the answer is that long copy consistently outperforms short copy, even now. Long sales pages do better than short, long physical (snail mail) sales letters do better than short, etc. Assuming you’re selling a product more complex than a popsicle, buyers simply need to have all of the information before they can make a decision. Even more painful from a designer’s point of view, great-looking pages often perform poorly compared with “ugly” ones. Which is not to say you need ugly design to sell well, but many elements that make a page look terrific can also interfere with getting the copy across in a direct way. The panels you’re talking about are in a very different context. They’re not answering a pressing problem that the reader may have (a problem for which the product being sold is a solution). Designers often do want to cut the text, but if you do that without testing which version works better, you’re cheating your client. Advertising has to sell, not please the creative team. In that book Ogilvy spoke fondly of HIS mentor, Claude Hopkins, who penned Scientific Advertising (in 1923!) In it, if you substitute “email” for “direct mail” most of his principles still hold true in 2010.